We check over 450 stores daily and we last saw this product for $3,820 at Nordstrom. 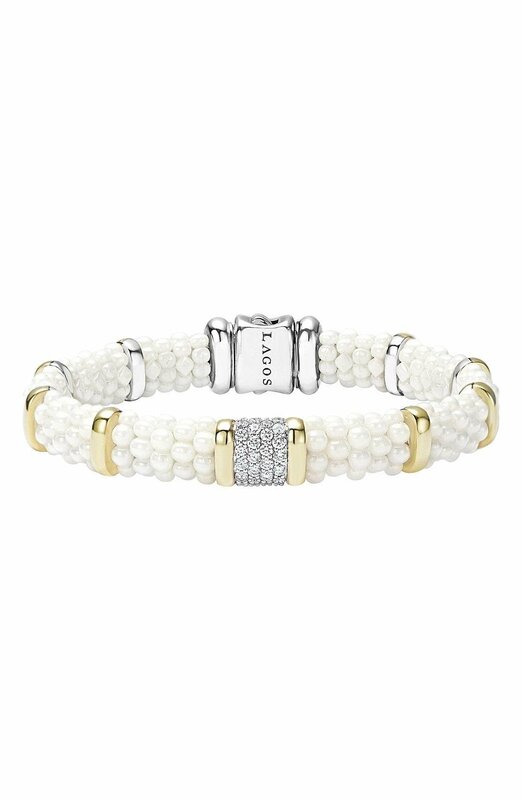 Luxuriously textured white-ceramic caviar beading enchants an effortlessly elegant bracelet accented with finely wrought 18-karat gold stations and glistening pave diamonds. Its neutral white and metallic palette remains refined from weekday wear to evenings out.